Endophytic microorganisms mainly include bacteria and fungi that colonize the plant internally without causing any adverse effect. Due to the mutualistic association with microorganisms accommodated internally, plants are benefited significantly in growth and resistance against various pathogens. The multiple plant-beneficial functions of endophytes like plant growth promotion, biocontrol and alleviation of abiotic stress are mediated through the production of diverse biomolecules. Hence there are immense possibilities to explore endophytes for various agricultural applications to substitute the use of agrochemicals. Endophytology with concepts of holobiome (plant and endophytes) and hologenome (genome of plant and endophytes) is gaining acceptance in recent years, both in basic and applied sciences. 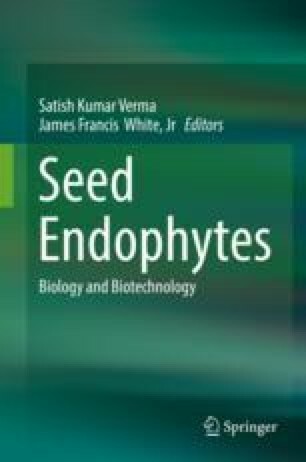 The current chapter describes biosynthetic features of endophytes especially those from seed endophytes, which are least investigated.